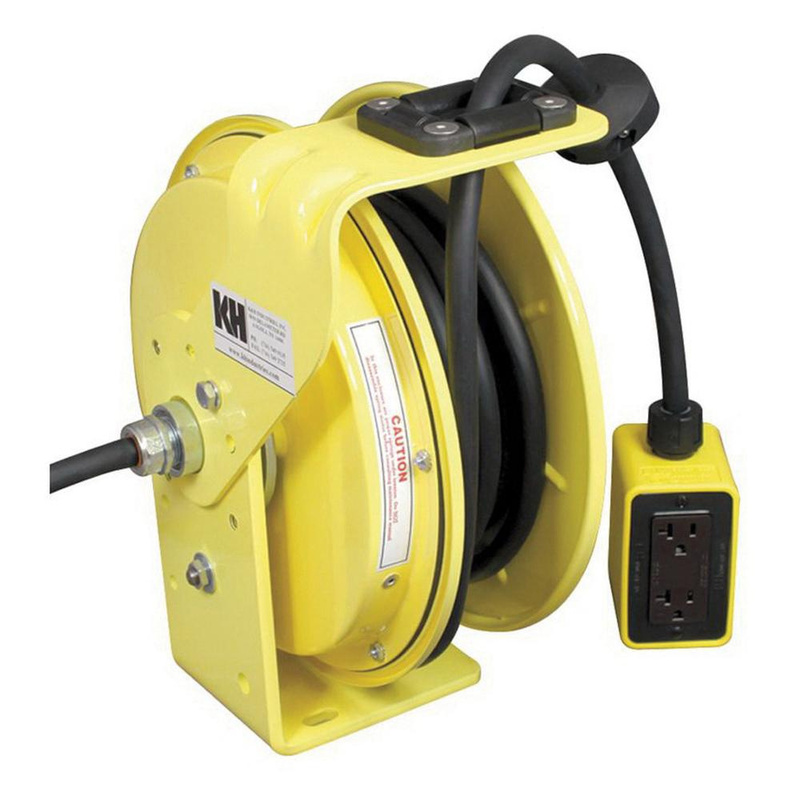 KH Industries 12/3 SJOW Retractable power cord has black jacket and yellow outlet box to offer added safety. It has voltage rating of 125-Volt AC, current rating of 20-Amps and power rating of 2500-Watts. It measures 13-13/16-Inch x 7-3/4-Inch x 12-Inch. This steel reel cord with four outlets, is 6-ft long and is NEMA 5-20P configured. Cord withstands temperature rating of -22 to 194 deg F. Cord is UL listed and CSA certified.